Creepy crawlers are a homeowner’s worst nightmare. They don’t only annoy you at night but also pose a serious threat to people and property. When this happens, efficient pest control is the best long-term solution to this menace. So before bugs start taking over your property, use the following methods to eliminate them. Stay Dry – Water attracts cockroaches and mosquitoes so keep your house dry as much as possible. Drain or cover any pools of water to make these pests feel that they aren’t welcome to invade your home. Find Hiding Places – The reason why you should hire a pest control company is that they’re skilled in locating the hiding places of pests. Sealing these gaps will hinder pests from concealing themselves, making it easier to eradicate them. 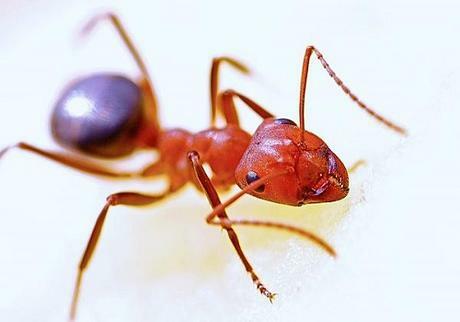 Clean Often – Pests love to munch on a good snack and live in dirty places. To prevent your home from becoming a breeding ground for bugs, keep your food under wraps. Also, make sure to do regular clean-ups to remove filth. Do Repair Work – Any tiny rip or hole becomes an open invitation for pests to come strolling into your home. Replace or patch up holes in walls and screens, especially around doors and windows. Do your repairs quickly to avoid giving pests a chance to slip through. Replace Plants – In garden maintenance, your landscape shouldn’t be contributing to infestation. There are bugs that love fruit trees, flowering shrubs and ivy which may cause them to invade your home. Substitute pest-friendly plants with other flora that don’t attract bugs such as petunias, marigolds and chrysanthemums. Manage Pet Waste – Bugs can infest your property through pet waste. You can lower this risk by having a pet waste station with garbage cans and poop bags so that you can immediately dispose of it. The first step to eliminate pests that have already taken residence in your place is to understand what you’re dealing with. You should at least be familiar with common household pests to successfully get rid of them. Once you know what pests are also living in your home, you’ll be able to choose a treatment customized for that specific infestation. Even if you’ve already taken all proper precautions inside your home, pests can still continue their invasion. Chances are, you may be carrying an insect in your back when you visited a store with a roach problem or stayed in a hotel that has bedbugs. Pests find an opportunity to survive by attaching themselves to you while you’re mobile. This is why you should check your belongings and ensure that no critters have entered your home with you from outside. Doing so will help prevent pests from spreading and developing into an infestation. Depending on what kind of pests you’re dealing with, you may have to use an insecticide or even set up traps. Remember to be careful in placing traps or using insecticides to prevent health hazards to pets and humans. Biological Pest Removal – This involves using live organisms to manage vermin populations. When dealing with rats or mice, for example, you can scare off the vermin rather than eliminate them by introducing a cat (or cats) into your home. Another way is by planting ornamentals in your garden to attract beneficial insects or to repel pests. Natural and Organic Pest Control – This is similar to pesticides but comes from natural extracts and plants. As this is only harmful to specific types of pests, it’s considered to be a healthier alternative to chemical pesticides. However, natural pest control methods may not always be as effective as chemical pesticides. Chemical Pest Control – This is done through the use of synthetic compounds that kill pests or inhibit development. As chemical pesticides differ in strength, they are often harmful to some plants and other organisms. Fortunately, this type of treatment tends to be safe as long as it is administered by a qualified professional. So, to avoid rolling out the pest “welcome mat,” don’t jeopardise your home and your health by making pest control a priority. Practice good cleaning habits and report an infestation as soon as possible to eradicate pests immediately.